The Imperial city of Piera was undergoing some truly strange events. A meeting of Templars and Inquisitors had been called to address truly chilling catastrophies. Now many mage hunters, clad in their solid black armor bearing the triple bars of the Inquisition, headed for the great castle in the center of the city. Accompanying them, strangely enough, were the holy warriors and noble monks of the Knights Templar, clad in their shimmering silver, gold, and red armor. Some were far more decorated than others, but no matter their pride or their humility, all of them carried one thing in common: the shining star of Astra Aeterna. Inside the castle, many Inquisitors and Templars had already gathered. Within a few moments, they convened in the great hall, all taking seats at a massive table spanning the length of the entire room - a room that was larger in itself than the entire houses of some peasants. To see so many Inquisitors of the Black and the silver and gold Templars seated together was truly a sight. However, no one celebrated the situation. At the head of the table, seated across from each other, were two mighty commanders. On the right side, Grand Master Aurora Caelestis of the Knights Templar rose to her feet. She was a tall woman wearing the very finest of deepgold and deepsilver armor, trimmed in red and spangled in the star of Astra Aeterna. Her long, flowing hair was as golden as her metallic adornments, and her bright blue eyes caught the light of the great chandeliers hanging overhead. Those eyes almost seemed to glow as she looked across the table... And the gaze of Grand Master Aurora Caelestis then fell upon the man seated across from her. Inquisitor-General Karl Metus now rose to his feet. 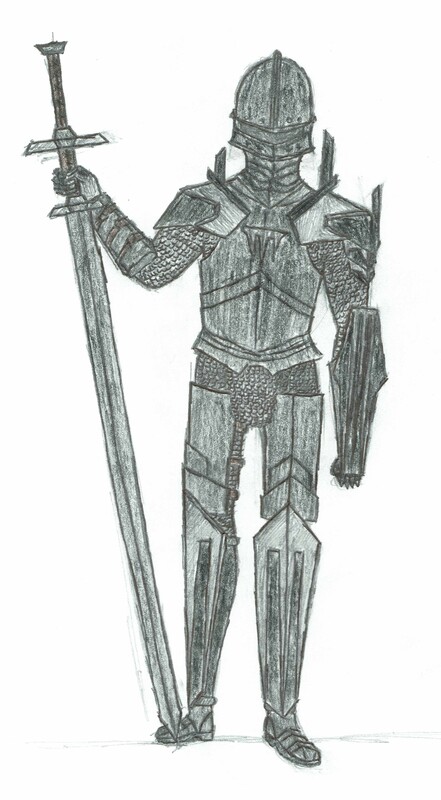 He stood above average height for an Imperial, clad from head to foot in solid black armor. He reached up and removed his black helm, setting it on the table before him to reveal a stern, grizzled, and yet handsome face, clean-shaven but wearing a scowl. His dark hair was cropped efficiently short, and his deep green eyes contrasted the bright glow of those belonging to Grand Master Caelestis. "I am honored to meet you, Inquisitor-General," said Aurora Caelestis, giving a bow of her golden head. "Likewise, Grand Master," said Metus in his gravelly voice, though his own nod was not quite so deep. Regardless, his respect was clearly quite genuine. Karl Metus turned to the others present, looking over the many gathered individuals. Near him sat trusted Ebonguards Ben Blackburn and Yaroslava Sturm, and near Caelestis sat trusted Templars Stevan Rolf and Sebastian Leclair. But many more from each order - and perhaps even some Venatori - were seated up and down the great hall. "We gather today to discuss a great threat," said Metus, standing his full height and moving to the head of the table. "A man known only as Letom wreaks havoc across the Empire. While his actions have not been so great as to mobilize the entirety of the Inquisition or the Knights Templar, he is a threat that must be answered before greater force must be taken to end his life." Caelestis approached the head of the table next, and Metus silently moved to one side as she took her place as well. "Thus far, Letom has taken the life of one Inquisitor in Tabula. From what we've learned, he killed this Inquisitor in his sleep and took his void iron gear. Afterward, Letom attacked a monastery of Astra Aeterna in a small village near Appledale. Whoever Letom may be, he managed to elude capture in the Empire when traveling as far as Tabula to Appledale - many days' and nights' worth of riding." "We don't know his identity," Metus added, "nor do we know his motivations or his goals... But it's rumored that Letom was seen using magic when he attacked the monastery of Astra. Whether this was magic granted through a pact with a demon, or he is a born mage, we cannot be sure." "But," Caelestis went on, "he needlessly took the lives of many monks when attacking the monastery. He stole many valuable manuscripts and burned the temple to the ground. His nickname 'Letom' was acquired from this attack, a testimony from one dying survivor. We do not know why he called the man this, but it may be a derivative from the word 'letum,' a High Imperial word for 'death' or 'decay.' It is almost certain this name is unrelated to Letom's true identity. "Some manuscripts were left to burn with the rest of the monastery, but the ones that Letom stole were all of similar subjects. They concerned the relationships between demons, celestials, and mortals - others discussed the passage of the soul into the afterlife. Whoever Letom may be, he seems obsessed with death... in more than one capacity." "Therefore, Caelestis and I are forming a team of Inquisitors and Templars to investigate this matter. As a start, you may want to look into other attacks and suspicious activity in the area. You are, as always, authorized to deal with any other threats you find along the way, but you nonetheless currently have a more important mission. Whoever volunteers, understand that it is now your ultimate duty to find Letom, and end him." As a member of the Knights Templar, your entrance into the castle goes unimpeded. Even from here, you recognize the High Imperial chanting from a nearby monastery of Astra Aeterna: your own goddess. The monks mourn the loss of their brothers in the chaos and devastation caused by this stranger, this "Letom." If you are as faithful as your vocation would imply, you cannot help but feel compelled to bow your own head and murmur a prayer for them as well. The numerous local knights and watchmen bow their heads or nod to you in passing as you ride up to the gates on your personal steed. Once your horse is stabled and you enter into the castle, you quickly realize there are quite a few Templars and Inquisitors inside already. The Inquisitors don't always regard you with the utmost respect, but they certainly regard you as an equal... Whether or not they enjoy doing so. The other Templars, however, offer you greetings, salutes, or bows based on their own personal training and beliefs. Some were originally monks and bow their heads, others were originally knights and soldiers and offer you salutes instead, often pounding one fist on their breastplate - over their heart - as a sign of respect. The Inquisitors often just nod, though some of the more respectful ones will salute or bow their heads as well. Whatever the case, and whatever the assorted butting-heads and frequent minor squabbles over jurisdiction, the Templars and Inquisitors are clearly working together right now. Your order is one of wealth, your station one of nobility and power - no matter who you might've been before you were knighted, if you weren't born into your noble status, like most Templars. Whether you joined this order for the influence and gold, or because your faith drew you to aid others, broker peace between other temples, and protect innocents from the horrors of evil that constantly threaten and tempt this good world, you are here now. When you arrive at the meeting, you take a seat at the table along with your Templar brothers and sisters, listening intently to the leaders who discuss the situation. In the presence of Grand Master Aurora Caelestis, you feel calm and confident, as if she carries with her a very aura of warmth and wisdom. As the meeting concludes, however, you must decide... Will you be one of the Templars who answers the call to end this agent of evil and put a stop to his crimes, once and for all? Some Inquisitors like to say that, of all the Imperial orders, the Inquisition receives the most stares. While that may not necessarily be true, you certainly get your fair share as you approach the castle. Clad in your solid black - or close to it - attire, you look like a servant of Thanatos. And yet you and your order, in spite of their grim appearance and occasionally equally as grim reputation, serve an extremely important role in maintaining peace and protecting the innocent... You hunt down and capture - or, if absolutely necessary, kill - those known as mages. They are called many names, and some call their abilities the Gift, but you know it as "the Condition." These magi are beings so unimaginably powerful that someone has to be there to keep them from destroying others, decimating villages, and tearing apart the very fabric of existence. Their uncontrollable magic warps reality itself and causes horror beyond comprehension. Even one loose mage could result in catastrophic devastation, no matter how goodhearted that mage may be. You and your order exist to make sure no innocent, no village, and not even the land itself has to suffer from the threat of this nightmare. Of course, not all the peasants around you realize this. Plenty of the nobles don't understand, either. None of this matters as you enter the castle to attend the meeting between the Inquisitors and another Imperial order, the Knights Templar. Not all of these knights show you a great deal of respect as you pass, and you're aware that many of them disagree with the beliefs of your order. Many of them are willing to set this aside, however, and salute or nod to you regardless. Others show you great respect, on par with what your fellow Inquisitors show - and, sometimes, the Templars are actually more respectful. You take a seat at the table as the meeting begins. While none of the Masters of the Inquisition are present, an Inquisitor-General is - Inquisitor-General Karl Metus, to be precise. His eyes briefly pass over you, and you know your presence has been acknowledged. Metus stands among the most stern and harsh of even the commanders of the Inquisition, and to even receive a look from him makes you feel a brief swell of pride. It is an honor to stand in the presence of, and serve, a man who has seen and survived the terrors that Karl Metus has endured. Over the course of the meeting, you cannot help but dwell upon the importance of retrieving these void iron items. The Inquisition is built upon its access to void iron, a metal that absorbs magical attacks. Without it, the Inquisition would be nigh-upon powerless. Given void iron's rarity and value, all Inquisitors hold a great responsibility to maintain their own armor and weapons made from that solid black metal. If an Inquisitor loses his or her void iron - be they dead or alive, and whether they have only lost one piece or an entire panoply of armor - the Inquisition will mobilize to recover it at all costs. That only leaves one question: will you join your compatriots in the mission to find this merciless killer, defeat him to defend the entire Empire and even the lands beyond it, and recover the slain Inquisitor's void iron? You approach the castle in silence, lacking the fanfare and stares drawn by the Templars and Inquisitors. You, in your simple attire, with only a dark blue hood and cloak with a silver brooch to mark your allegiance, attract no admiration or respect from the locals. More often than not, you go unnoticed, though sometimes a few will shoot a disdainful glance in your direction. How far the noble order of the Venatori has fallen in the eyes of the people... The useless "monster hunters," outdated and unnecessary, the underfunded men and women watching day and night to keep innocents safe. Either the disdain is mutual, and your frustration with those around you and their thoughts of the Venatori grows with each look you receive - or you are secure in your discipline. You know what you're doing is right, and whether or not people realize how necessary your order still is does not matter to you. 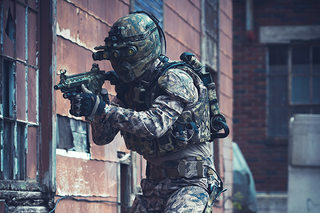 The hunt never ends, and you will not sleep so long as innocents need protecting... No matter how little gratitude they show for your sacrifices. Or perhaps you're different entirely. Maybe you care nothing for the Venatori and their silly goals, their ridiculous hunting of monsters that barely even exist and certainly are no threat to the Empire. Maybe you find them laughable for their determination to protect peasants from a threat that the vast majority of humanity never even knows is real. Monsters are fairytales and bedtime stories for most Men. Maybe you're just a criminal, lowlife, or some other peasant who had nowhere else to go, so you turned to the Venatori for work... And you're one of the bits of scum dragging down the once good - but long since spat-upon - name of the Venator order. Regardless of your own feelings, as you approach the castle, you find the occasional Templar or Inquisitor who will extend respect to you. Some salute, nod, or offer another form of greetings. Certain others will glance at you in such a way that clearly indicates they wonder what you're even doing here. How does this concern you and your lowly order? You are, however, nonetheless seated at the great table with the rest of the Imperial officials. Grand Master Aurora Caelestis clearly respects you and your order, as she bows her head solemnly as you take a seat. Even Inquisitor-General Karl Metus acknowledges you, though he does so only with a glance and a terse nod. Still, from what you gather about him, that is far more than many receive. Welcome to Damnatio Memoriae. This RP (and/or campaign, as I call them, as it's still a part of the persistent world, but it's its own storyline) is heavily centered around certain Imperial factions. Therefore, you should be prepared to sign up as a member of the Knights Templar, the Imperial Inquisition, or at least the Venatori. I may be able to work in other factions or just factionless - so to speak - knights from certain cities. However, you have to be aligned with the Empire, and it would be vastly preferable if you were just a Templar or Inquisitor, or else a Venator. As mentioned in the intro, there aren't many Venatori involved, so bear that in mind. If you sign up as a character who's not a part of these factions, they'll have to have a very good reason to be there and be allowed to work with these Imperial officials. And, as mentioned, they absolutely cannot be freelance. This is not a place for civilians and/or "adventurers." In this RP, expect action, adventure, mystery, the occasional touch of horror, numerous sidequests, several NPC companions with their own backstories to explore, and a heavy main plot. Your goal is - seemingly - simple: find out who this "Letom" is, what his motivations are, and - most of all - find him and put a stop to his crimes... No matter how large in scale they may be or they may become, and no matter how many connections he may have. Along the way, you might just find yourself tangled in complicated moral choices, and the consequences of your actions will stay with you for the rest of your character's life in the world of Errant. To sign-up for this RP, head on over to the sign-up thread and create your character using that. Copy-paste the sign-up sheet found at the bottom of the sign-up thread, fill it out, and post your character here in this thread. First and foremost, your character must be a member of the Knights Templar or the Imperial Inquisition. You can also be a Venator, but I would prefer fewer numbers of those overall. That doesn't mean they're disallowed, however. 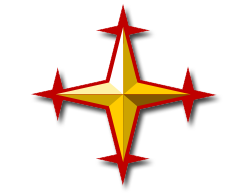 As mentioned, arguments could be made for other factions or else for just some Imperial knights not necessarily belonging to a particular order, Paladins, the Imperial Legion, or Knights of Dracon or Knights of the Star Sapphire, but the majority of players should be Templars or Inquisitors or Venatori. For more info on these assorted factions, consult the Wulfgard wiki and the sign-up thread. If you have any further questions, please don't hesitate to ask me anything (preferably doing so in the Wulfgard Q&A thread in the Wulfgard board, via PMs, or else just in this topic - but the Q&A thread would be best). If anyone has any monsters-hiding-among-men that I've left out and you want to sign up as that, just let me know and we can try to work something out, depending on what it is. Big DM posts that advance the plot (and/or advance the current sidequest) will generally be posted once a week, most likely on Friday or Saturday. If I can't get a DM post up one week, I'll do my best to let everyone know. If I choose not to advance the plot because there are too many interesting character interactions going on, I'll also let everyone know. But, generally speaking, the RP should update about once a week over the weekend. I'll be posting smaller posts more frequently as necessary for character/NPC interactions, however. Kristina is fairly tall, standing about 6-feet even, with a slim —though still well-muscled— and athletic build. Her facial features are quite beautiful, though with a slightly hard and angular cast to them that lessens the effect somewhat. Like most channelers, she has the tri-barred Inquisition symbol tattooed across her eyes. Her hair is straight and fairly short, hanging down to about chin-height, and is a distinctive deep shade of rust-red. She normally keeps her hair tucked severely behind her ears. Her eyes are a piercing gray —though the color shades towards green right around the pupils. Her body is covered with scars —the most prominent of which is a large burn mark which starts on the left side of her neck, just below the jaw, and extends down to cover parts of her shoulder, upper arm, and chest. Her arms also bear somewhat prominent scars, the result of her tattoos decomposing from a magical overload and subsequently being reapplied at least once. Lastly, her palms are thoroughly covered with burn-scars. Her normal outfit, like most inquisitors', is entirely black. She wears a cloth short-sleeved button-up shirt that possesses an unusually high collar which covers all the way up to her lower jaw, concealing the scars there. She keeps the collar buttoned all the way up at pretty much all times. Over her shirt, she wears a curiass of hardened leather lamellar armor to protect her torso from mundane attacks. Over the armor, she wears a tabard marked with the Inquisition's symbol. She wears thin —essentially skin-tight— fingerless gloves that cover her entire arms to just below the elbow. Serviceable boots, pants, and a hooded cloak complete her outfit. 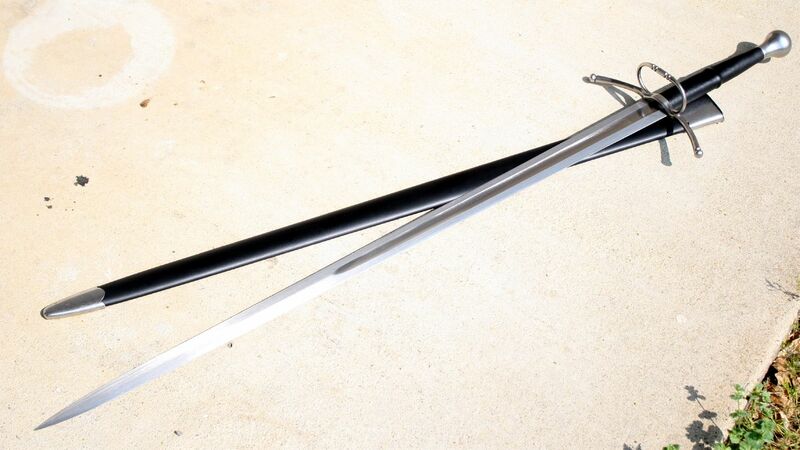 Kristina's primary weapon —other than her channeling— is a void-iron cut-and-thrust sword with a hilt longer than the norm, allowing for a full two-handed grip —though it can be wielded just as easily with one hand. 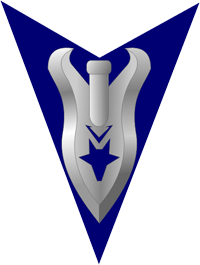 In addition, she carries three long-bladed daggers: The first is made from deepsilver (for shape/proportions think something like this); inset in silver on both sides of its ebony hilt is her family seal —a downward-pointing dagger superimposed upon a lidless eye, such that the dagger's blade forms the 'pupil' of the eye; she wears this dagger in a custom sheath that puts the hilt over her right shoulder, for a quick and easy draw with either hand. 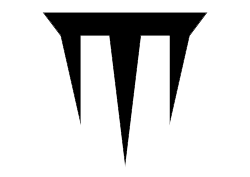 Her other two daggers are comparatively plain, with void-iron blades and no markings save the Inquisition's symbol (like this). She also wears a silver necklace with a pendant in the shape of her family's seal. She rides her own personal horse, a massive night-black destrier stallion that she named "Stormshadow". Kristina was born nobility, the second daughter of Earl and Countess Reyne. Her parents ruled from a small town in the north of the Empire, approximately halfway between Forts Norward and Coldstone. Being the younger child, Kristina was not going to inherit her parents' title —that honor would go to her 3-years-older sister, Katrine. As a result, pretty much from the time she could hold a practice sword she threw herself into other pursuits —spending her time learning how to fight and ride from her family's retainers. Despite this, she still felt jealous of her older sister, feeling that Katrine took things way too lightly —often ignoring or outright skipping their parents' lessons on how to run a County to pursue more frivolous pastimes— and that she more deserved to inherit the title. However, in spite of occasional bouts of jealousy, Kristina and her sister typically got on quite well. Things started to change when, shortly after Kristina's tenth birthday, she discovered that her sister possessed the ability of magic —witnessing her accidentally ignite a small fire in panic when the two of them were accosted by a feral dog. While Kristina and her parents were disturbed by Katrine's newfound abilities, they still loved her, and did their best to keep her secret hidden. However, as time passed, her sister's outbursts became more frequent and, despite the loyalty of her family's retainers, rumors began to spread in the town and beyond, to the point at which a small group of Inquisitors came to investigate. Not wanting her sister to be taken away, by rather serious measures —which consisted of essentially drugging Katrine into somnolence and pretending she was seriously ill— Kristina and her parents managed to hide Katrine's magical ability and, finding no proof, eventually the Inquisitors left. Things became more and more tense —as Kristina and her parents feared what the townsfolk might do if they discovered Katrine's nature, or a return of the Inquisition— until one day a strange man, garbed in dark robes and with an odd hook-shaped mark beneath his left eye, arrived at their house. The man said that he had heard of their plight, and offered to teach her sister how to keep her magic under control, asking for nothing but upkeep and a modest sum —though tiny compared to her family's fortune— of gold. Though rather suspicious of the stranger, Kristina's parents were desperate and accepted the man's offer. While Kristina remained suspicious of the man, as time passed, he seemed to be doing his job —Katrine stopped having magical outbursts. Still, she couldn't shake the feeling that the man had some secret agenda, as he always held her sister's lessons in secret. As time passed Kristina and her sister started to grow apart —her suspicion, and the increasing amount of time Katrine spent with her mysterious teacher, creating a rift between them. Everything came to a head late one night when the 16-year-old Kristina —who had many times tried, and failed, to observe one of her sister's lessons with the strange man— was restlessly wandering the house and came across the two talking in an old room, stopping to listen in on them. What she heard horrified her: The man was telling Katrine that mages were superior to 'normal' people, that it was their right —their destiny— to rule the rest of mankind —for its own benefit, he claimed. And her sister was agreeing with him. Feeling both vindicated in her suspicion and betrayed by her sister, Kristina drew her deepsilver dagger, an ancient family heirloom, and stormed into the room and confronted the pair. She ordered the man to leave, at which he simply laughed. When Katrine stepped in, begging her not to tell their parents, trying to explain —trying to justify the man's insidious words— she had had enough and lunged forwards, trying to kill the man. But her sister, reacting from panic and trying to stop her, launched a small fireball at Kristina —striking her in the left shoulder and badly burning her neck, chest, and arm. Collapsed on the floor from the pain and shock, Kristina could only watch as the man chillingly congratulated her sister, and then told Katrine to finish the job and kill her, telling her sister that this is what 'normal' people were like —violent against anything different from them— that mages needed to rule or else they would all be hunted down. When her sister, stunned and horrified, didn't react, the man turned harsher, declaring that Katrine would never be accepted again after this —that he was her only chance of survival— and that this was what he'd been training her for —to use her powers to dominate people, or destroy those who won't submit— that this is what it meant to be a warlock of the Hidden. Realizing what she had been doing, Katrine refused and, when the man tried to kill Kristina himself, attacked him. A brief but furious magical duel ensued, catching the room aflame, and Kristina witnessed the man strike her sister down —all of Katrine's training and talent still no match against the experienced warlock. The fighting woke the household, and her parents and the guards rushed to the scene, only to be slain to the last by the man, their swords useless against his dark magics. By this time, Kristina managed to regain her feet and attempted to attack the man again but, before she could, a burning beam fell from the roof and pinned her. Seeing her state, the warlock laughed coldly and simply left her to burn as he made his escape, killing anyone he ran into on the way and setting the house further ablaze. As she lay pinned and with the flames growing closer, Kristina's rage grew until at last she managed to shift the heavy beam off of her, badly burning her hands in the process. She then managed to stumble to the window, and threw herself through it, falling two stories to land on the lawn, which still had a thin layer of snow covering it, and managed to crawl about twenty feet from the house before losing consciousness. She was found there by some of the townspeople, and was nursed back to health. Besides her, only a few of her family's retainers had escaped alive. As she lay healing, Kristina thought back on when the Inquisitors had visited, realizing that they were right: Mages were a danger to others around them, whether they intended to or not. She became convinced that she had made a mistake, that she should have let the Inquisitors take her sister, because if she had that warlock would never have come into their lives and her parents —and Katrine— would still be alive. It was at that moment that she resolved to join the Inquisition, to learn about magic and protect people —both 'normal' people from magic users, as well as innocent magic users who might otherwise get used as weapons by evil people. Thus, the moment she was well enough to travel, she left the smoldering ruins of her home behind, taking her deepsilver dagger and what money had survived the fire, and joined the Inquisition —her desire to learn more about magic leading her to pursue the life of a channeler. Her rise through the Inquisition's ranks was rather meteoric: By the time she was 19 she had her channeler's tattoos. Before she was twenty she had killed several warlocks. Not long after her twenty-first birthday, she was granted the rank of Inquisitor, and began leading investigations of her own. While she has a reputation in the order for being somewhat reckless, she gets results, though not without cost as the myriad scars on her body attest. Her consummate professionalism, along with the ridiculous number of injuries she's survived, has earned her the nickname "The Iron Countess". She truly believes in the Inquisition's mission and hence will, except in extreme circumstances, always give a mage the opportunity to surrender peacefully, and will do her best to convince them to do so. When she has to kill a mage, she does so without hesitation, though usually with some regret, seeing it as a necessary sacrifice —saving many at the expense of one. The one exception to this is when she is dealing with members of the Hidden, whom she feels no remorse —she typically enjoys it, in fact— killing, though, being a professional, she still will ask them to surrender first. She always tries to be involved in the interrogation of captured Hidden members, hoping that some day she might find the warlock that killed her family and bring him to justice. 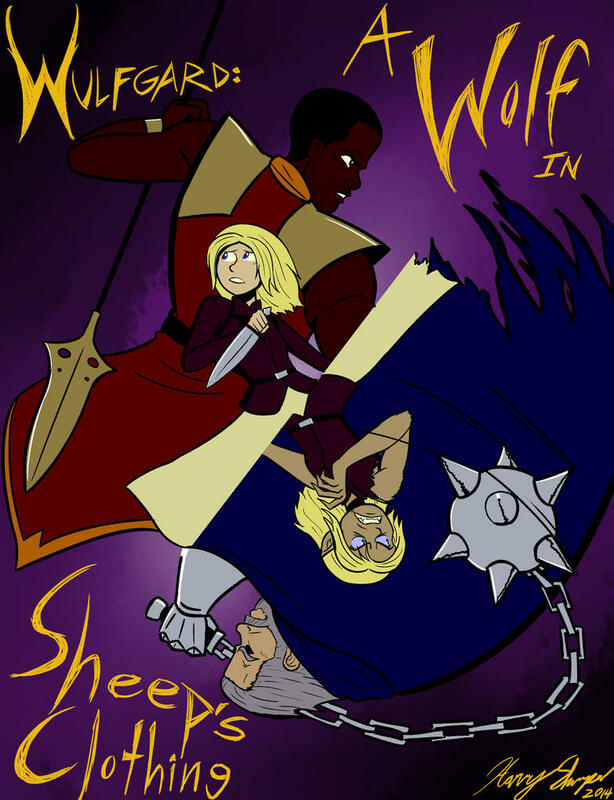 he and another Templar, Katrina Adrianna, were sent to stop a trio of cultists from summoning a Demon of Wrath. Unfortunately, the Demon, who called itself Wrothschild, slaughtered Cultists and then attacked the Templars, mauling the left side of the Templars face and almost killing him. The Demon killed Katrina and fled, left them for dead. Since that day, Malvolio has become a much more bitter and quiet man, as he was close to Katrina, and carries his fallen love's blade as a token of what he has suffered. He is often found brooding, plotting to avenge himself on the Demon, though it will most likely cost him his life. Warhammers. He and his brother have sometimes fought side-by-side on several occasions, and once were able to bring down a rouge troll together. Misc: During his conception, Agethar was origionally going to be called Brufarn, but this was dropped in favor of his current name, which is taken from one of the plays concerning Oedipus. 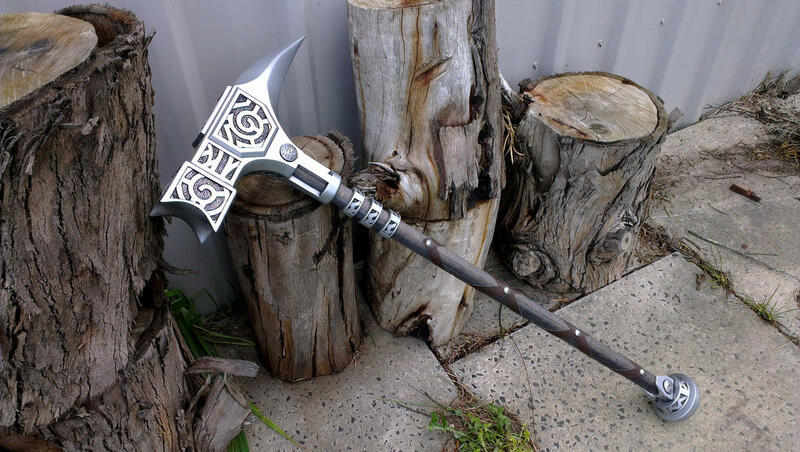 I also have an Idea for an Inquisitor Character, so if one of these don't fly, I'll whip his up. Edited by Dalton Westmoore, 30 January 2016 - 01:44 PM. A giant of a man, Gauvain's bulky stature makes him stand out in a crowd. He has a square jaw and deep green eyes. His deep brown hair has been cut short and slicked back to keep it out of his eyes. He is clean-shaven. On his right leg is a deep scar from where a mad mage thrust a blade through his flesh in a moment of weakness. He carries himself in a way so as not to tower over others, often slouching, sitting down, or otherwise taking emphasis off his size. In more demanding or conflicting times, he stands to his full height, bearing down on his foe. In terms of clothing, his position within the Templars has afforded him a suit of full plate armour, wrought from the finest deepsilver. 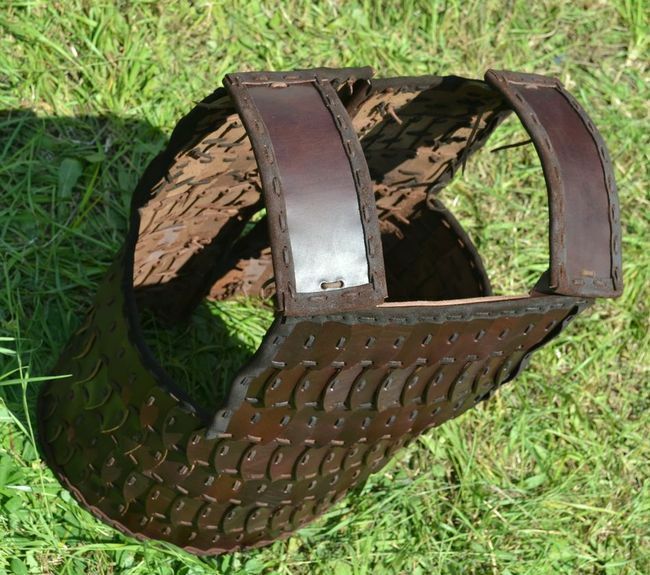 The metal has lost its shine due to seeing plenty of use, and is riddled with scratches. A bucket-like helmet covers his entire head, with four slits acting as eyeholes. He bears a tabard with the emblem of the Templars stitched onto the front. Born and raised in the Imperial Heartland, Gauvain was the son of a noble who already had a number of children. He was the subject of a fair amount of teasing during his childhood due to his size and apparent lack of intelligence. He was given a fair amount of education, but he couldn’t keep up with his siblings. What he lacked in knowledge and smarts, however, he made up for in martial prowess. The moment he picked up a sword, he knew deep down that it felt right. As he got older, his swordsmanship got better and his self-esteem got worse. He was still being teased, but it had gotten more malicious, becoming barely-concealed admittances of embarrassment and hatred. One night, Gauvain decided to leave his home and seek his fortune elsewhere. To that end, he sought out the Templars. Among them, he was respected for his strength and skill. Yet there was still a nudging in the back of his head, his lack of confidence still present after so many years. It began to affect his skills negatively, which had consequences in battle (leading to him receiving a battle scar), and it was only through the intervention of a dear friend did he realise what was happening to him. Gauvain forced himself to put aside these negative emotions and focus more on his strengths and what made Gauvain Gauvain. He has since returned to his more confident self, but the shadow of self-doubt still lingers in the back of his head, waiting for the right moment to flourish and ruin his day. Edited by Flammenwerfer, 26 January 2016 - 04:36 PM. She doesn't like to paint the inquisition symbol on her face, but she does shroud her appearance slightly with black grease-paint running across her eyes. Scarlet-red hair, Green eyes, and of course, covered in tattoos on both arms. Inventory: Charcoal hooded cloak, leather armor as shown (but instead of a gold cross, it's a dark-silver inquisition sign. Because she's an inquisitor. And reasons). Longbow, void iron shortsword, and rations for a week. And a lantern. Biography: Lucy was raised in a smaller village within the Achaean Empire ((I have a thing for Achaean, OK? )). Growing up with her best friend Amy, the two rascals always dreamed of becoming adventurers and exploring the dangers of the world. However, in their adolescent years, a fire killed Amy's parents and burned down her home. Amy was allowed to live with Lucy, but the trauma seemed to cause her a lot of pain. For the next two or so years, Amy slowly became more introverted, more reserved, and more fearful. As time passed, Lucy patiently waited, hoped, and prayed to Astra for knowledge on what to do. Finally, one day, when Lucy came in to ask Amy if she was hungry, Amy confessed that she was responsible for burning her parents' home down with The Gift. Amy explained how she lived in constant fear of hurting people, especially her best friend, and wasn't sure what to do. Lucy remembered her father (a Templar) mentioning something about the Inquisition, an order who helped people by escorting mages to a safe place. Since that day, Lucy has a perfect recollection of the memory of seeing Amy's relief when she was escorted by Knights who were completely safe around her. She decided to join the Inquisition to help other people who were affected with The Condition find safety for themselves and their loved ones. As an Inquisitor, Lucy has also learned that there are those who embrace their curse, but she has yet to see someone who hasn't hurt somebody else by doing so. As for herself, she has never been afraid to face these people head-on, and was recommended to become a Channeler. There, I fixed my character. I guess it truly is nearly impossible to make a character without a tragic backstory. Edited by Ratcatcher, 27 January 2016 - 07:21 PM. Appearance: Hadrian Holt could be mistaken for the most unnervingly mean looking statue if you didn't see him move. His square jawed face looks like it was chiseled from a rough piece of granite, with wrinkles and creases carved deep over the course of forty-odd years. Meeting his stony gaze reveals a ruthless intelligence, while the dark shadows under his pale blue eyes betray the many horrors and sleepless nights he's endured. Inventory: A high ranking and renowned Venator, Hadrian proudly bears a tried and true assembly of rugged equipment, in addition to the hunter's blue cloak and silver brooch. A rugged and coarse padded dark blue coat keeps the cold off him, while a deep silver chain shirt covered with a hard leather vest protect him from feral claws. The only plate armor he wears is a dull pauldron on his shoulder and a matching pair of steel bracers and gauntlets, spiked on the knuckles with three silver tipped points, for desperate close encounters. His belt holds a full quiver of iron and silver arrows, a small kit of medicine, potions, and supplies for herbalism and alchemy, and a length of rope for setting traps. For his armaments, Hadrian favors a sturdy bow that has seen him through many hunts. But in other situations he wields a strong iron chain, tipped with a wicked barbed silver spear for hobbling and ensnaring prey. Biography: Hadrian Holt was a Venator for most of his life. Growing up in a distant and isolated town on the outskirts of the Empire with his brother, monsters were far more than fairy tales to him. However Hadrian managed to reach adulthood, and as soon as he was able, he set off to join the ranks of the once noble Venatori. He thrived there, completing many hunts and surviving encounters with several ferocious beasts. He was enthusiastic with his work, vicious and cunning in the face of the monsters of the night. However, one hunt changed him forever. Hadrian was going back to his lonely old home town, returning to visit his newlywed brother for the first time in years, and to meet his newborn niece. But when he arrived he found a more horrific sight than he could have ever imagined. The whole family was lost, consumed by one of the most dangerous monsters to ever stalk through the night. The werewolf. The details of the hunt are hard to extract from Hadrian, but despite the devastating loss of the only family he had, he somehow managed to hunt down and kill the werewolf. No one is sure how he did it, although his body bears the scars to prove it. Ever since his vengeful hunt, Hadrian Holt has been a stoic, uncompromising Venator. Unshakable in defending humanity, and uncompromising and ruthless in destroying creatures of darkness. Looks awesome, Sareth. Glad to see Kristina make a return. Biography: Malvolio Borgia was born in the Iron ring of Corinaria and lived for most of his life as a street-rat. One day, he was found by some Templars and adopted into the order. When he was old enough, he offically joined the order, and put paid to many Demons and Demon-kin alike with his axe. the Demon, who called itself Wrothschild, slaughtered Cultist and Templar alike, mauling the left side of the Templars face and almost killing him. Martial, Noble, and Finesse combat are all technically "melee" combat talents. You'll need to specify which one you want, as Noble will allow you to be more skilled with horseback combat, whereas Martial specializes in other types of combat; whether you have Noble or Martial will be taken into account. As for also having Finesse, it's rather redundant, as Finesse is there for characters who want to be skilled at melee combat but aren't strong enough to wield heavier weapons and focus on Agility instead. Modified how? All Templar armor is completely custom made. The Templars are all knights who are rich and have their own personal sets of armor. His would be completely custom anyway. Wow, that's an unusual event. Unless there was something truly exceptional about his character that made them compelled to do this, they wouldn't recruit just a random street rat. Most Templars are knights - they're noble-born and went through knightly training. There are two types of Templars, generally speaking: knights and priests. Either you're a priest or a knight - he can't really just be a street rat. Templars don't really kill many demons and demon-kin, as those are extremely rare to ever see in the mortal world. Most Templars spend their time mediating between the various Achaean temples in big Imperial cities. When they do get to battle evil, mostly what they fight are necromancers/heretics and demonic cults, but not really demons or demon-kin themselves. This is just a small note for future reference: any kind of demon in the mortal realm would be a crazy rare event. Demon-kin are pretty much just as rare. While a demon in Midgard is indeed a catastrophic event and it would be extremely difficult to kill one, if anyone could, it would be a group of Templars. That's part of their job. A demon would probably just run away from them, as Templars are trained specifically to battle their kind. Demons fear the Templars and have to be clever enough to hide from them, even if the Templars don't exactly have a super easy time killing a demon. Demons are so powerful it's hard to even hurt them, but Templars very much can, and that makes demons want to avoid tangling with them at all costs, because it could very well mean banishment back to the Underworld. Basically it'd be an epic-level fight for both sides, even a full-blooded demon, if there were multiple Templars. I'm not saying you necessarily have to change this, but I'm just saying that it wouldn't be taken lightly if there was a demon on the loose who'd managed to kill a group of Templars. This is assuming all Templars wear necklaces of the Star of Astra. That's just a little niggle, though. However, a demon couldn't directly handle that sort of thing, as they would be holy symbols. They'd burn the demon's hands off. That's just details, though. He's going to need some kind of silver equipment, if he's a Venator. At least a dagger, although most all Venatori at least carry some kind of ranged weapon with them, since the vast majority of their fighting is done at range. I like Agethar, and Brufarn sounds fine as well, but Brufarn seems a lot like just Agethar over again. Are you sure you want to do that instead of just making up a new character? Just saying. Golly, you're cutting yourself short. You can have one more Talent, unless you did that intentionally because of his relatively low Intelligence. Otherwise, sounds good! Welcome to Errant. Inventory: Eobard has with him his sword, cape, glistening army, some rations and a medical kit, and his charismatic smile. Rumor has it, however, that he left his brain somewhere along the way. 2 Intelligence basically means he'd basically be drooling a lot and saying things like "ME WANT TALK TO YOU HEAD!" We already have a Templar who has a trait of being rather unintelligent, only not to the almost cartoonish degree that makes him seem like he shouldn't even be able to learn how to tie his proverbial shoelaces. As much as I hate to say it... Would you be willing to just make a different character instead? I'd love to see you sign up for this RP (as I miss RPing with you, honestly ), but this guy doesn't really work. He'd probably not even make it into the Templars, if he's that unintelligent, and we already have one knight whose brain power is somewhat questionable. Templars are generally quite intelligent and very educated. 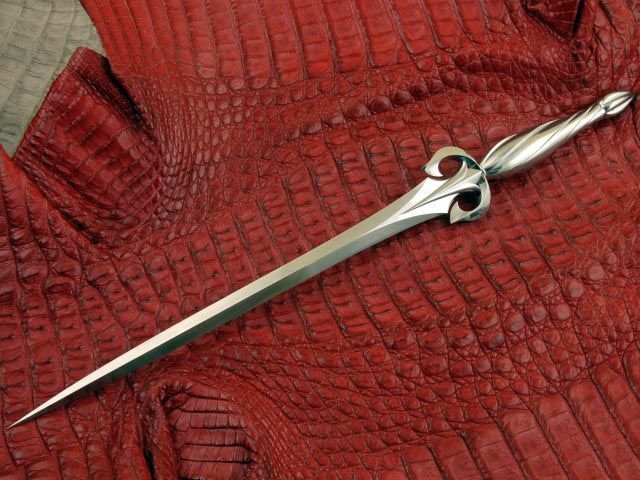 he wields a strong iron chain, tipped with a wicked barbed silver spear for hobbling and ensnaring prey. Not a flail or anything, so he'd be swinging around some weight on that chain? Just trying to swing a chain around on a battlefield (especially one as dangerous as a Venator would find themselves in) is pretty dang unconventional. I shall discuss this element of your bio with you in private. Otherwise, sounds great as usual, Harry. Appearance: Standing tall (if rather lanky) and clad head-to-toe in imposing void iron, Mettius isn’t afraid to use the Inquisition’s reputation to his advantage when it comes to intimidating foes… even if - due to his personal beliefs - he isn’t very good at it. Biography: Hailing from a small fishing village not far from Whitehorn, Mettius grew up fairly normally, even if he was always rather distant from other people. He did have one friend in the village, though, who he... felt was somehow similar to him. However, she was far more energetic and outward… and had a far shorter temper and lack of patience. Still, Mettius somehow managed to click with her, though they didn’t have long to become friends before something changed in her. He didn’t take too much notice of it, but she began to lose her temper more, and every time she did she’d glow a little, or embers would seem to drift out of nowhere. What scared Mettius more was that he found similar changes happening in himself, as he grew more cold and distant and found his surroundings would grow physically cold. All of this continued to build up until, one night, his friend’s house simply exploded into ashes and burning timber. All that survived was her, huddled up in the remains of the house… facing two charred skeletons. Before anyone could stop her, however, the girl abruptly fled into the woods. However, when the Inquisitors finally caught up with their prey, Mettius was surprised how… well, polite they were. Obviously, they were cautious, but they didn’t outright attack the girl. Even further, they persuaded her to come with them willingly, and nearly persuaded Tibur himself to follow them. In any case, when he returned to the village and as the Inquisitors left, he had much to think about. The Inquisition was clearly not evil. And… well… maybe they were right. After a few days of thought, Mettius left his home to join the Inquisition. 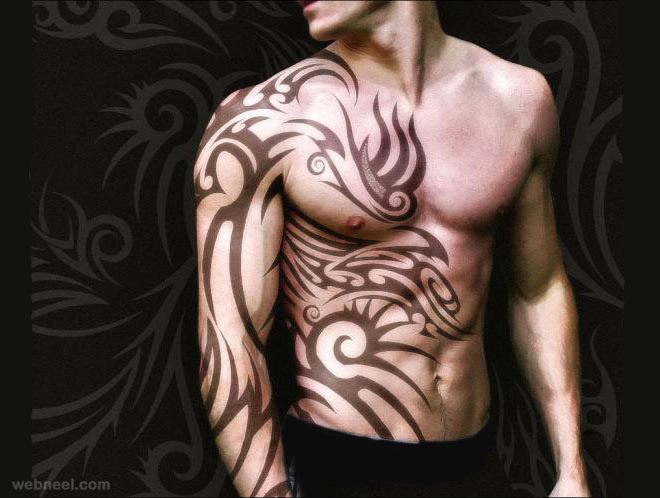 However, viewing his Gift as more of a weapon that could be used in the case of a violent mage, he didn’t risk gaining the tattoos of a Channeler - well, that, and he feared it would reveal his Gift somehow - and instead opted to be an average warrior, relying on his Void Iron plate to diffuse his magic until it may be needed. While he tries to keep it secret, he actually sleeps in the stuff as often as he can for that reason… and often looks into the books the Inquisition has on magic (obviously with the help of those who can read, since they don't question his reasons) to learn more methods to possibly wield his power to help contain the Condition. In the midst of recreating my character. Sorry Wolfy. Appearance: A rather short woman, even by Imperial standards, Irena Cathas does not go out of her way to be particularly attractive: in fact, she rarely tries to attract attention to herself at all. Her long, dirty-blonde hair is often kept tucked inside her white robe’s hood, and that is often pulled down to obscure her rather plain features, barring a pair of surprisingly sharp chestnut brown eyes. The rest of her figure is, at the best of times, obscured by her plain white robes, which in turn are only decorated with symbols of Astra Aeterna, and even then, they are rather simplified. Biography: Irena Cathas was born into the Knights Templar, being the daughter of two relatively high-ranking and pious monks. Thus, rather than be trained in the arts of war, Irena was taught the more knowledgeable - and arguably more important role - of the chronicler. Wherever demons are slain, the rough time they are banished and to be banished for must also be recorded, so that the ‘proper’ Knights Templar know when to expect the return of more powerful demons. Not only that, but the methods used to locate them and combat their unique abilities and vices must also be noted down, to give the holy warriors all the edge that they can get. Of course, not all of the actions of the Knights Templar focus around the battling of demons, and to start with Irena was actually involved with many feuds between other temples, putting her knowledge and writing skills to the test in helping record and resolve these matters. However, Cathas found a much greater interest in demonology and the hunting of heretics, and whenever she could she would travel with wandering Knights Templar to record their adventures… and learn more about demons and their kind. To help with this, she went as far as to try learning the tongue of demons in an attempt to be able to listen in on what exactly chants were saying, and thus help her fighting companions know what they could be up against. Overall, her skills in this field have proven useful enough that she was permitted to join the Knights Templar traveling to Piera, where she hopes to not only expand her knowledge of demonic matters, but also help the proper warriors in their battle against this murderous heretic ‘Letom’. Umm...I think it's time for editing! So, it's odd if Templars can get slaughtered by Demons, but it's normal if Venators get slaughtered by Vampires/Werewolves? I really hope that didn't offend you, but that seems a bit odd. Is there any part of a Templar that a Demon can wear as a trophy of victory, because if what you say is true, those kinds of trophies would be extremely rare to get. It looks like Malvolio is going to undergo serious editing, which I will do later. Okay, weapon changing and talent editing I can do, but what is this notion that Agethar and Brufarn are the same? They are both very, very different. For one thing, Brufarn came to the Venatory in much more peaceful way than Agethar did, and for another, and quite frankly, he is a lot more self controlled than his younger brother. Also, he doesn't have a dog that you and me aren't going to argue over the species of like Maugrimm. Honestly, I think that I should drop the idea of Brufarn for now in favor of that Inquisitor Character I've been talking about. The only things I have down for certain are that he's african (or whatever Wulfgard's version of Africa is called), and he's going use a mace or maybe a mattock. Wait (Reads), is it this guy? If so, then excuse me while I go and look for an appropriate gif to describe the hype, as that guy basically inspired Agethar. Over six-and-a-half feet of solid muscle, some people have darkly suggested that there may be some nordling, or even amazon, blood in Sarael's ancestry. While these rumors are utterly without merit, it cannot be denied that she has a statuesque and heavily-muscled build that wouldn't look out of place on a goddess of war. Despite this, she is immensely cute, with a youthful and lively beauty. Her ash-blonde hair is kept sensibly short, stopping a couple inches above the shoulder, and she has vibrant green eyes. She is clad in a full-body suit of deepsilver plate armor, which has various details, such as the star of Astra symbols, done in deepgold accents; while she has a helmet for her armor, she almost never wears it, being slightly claustrophobic —it pretty much just sits in her saddlebags gathering dust. Under her armor, she wears a fairly simple —if exceptionally well-made— light-gray leather jerkin over a matching tunic, with similarly matching pants and boots to complete her outfit. Her primary weapon is an immense (though, compared to her size, rather proportional) deepsilver zweihänder sword. In addition, she carries a single-handed warhammer with a deepgold head and bindings. 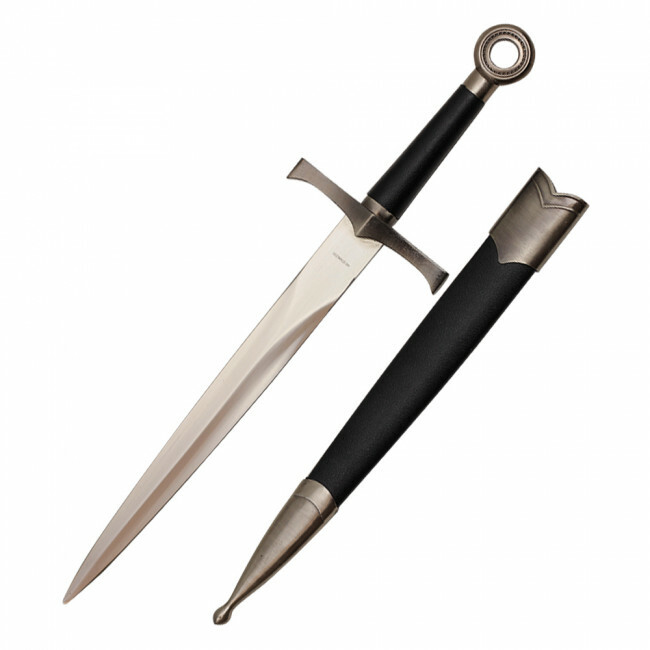 Thirdly, she carries a slim, long-bladed deepsilver dagger. Lastly, she carries a shield of the typical knights' type, the front and edges of which are plated with deepsilver and deepgold. She rides a massive gray percheron mare —the only horse she could find that would bear her size and weight. She named the horse "Silver Breeze". 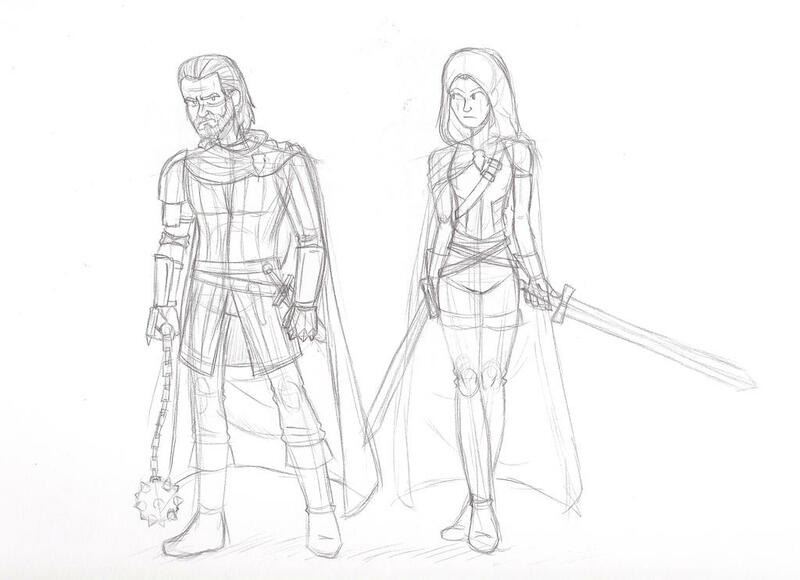 Sarael's father, a wealthy knight of Piera, had wanted a son. But, as sometimes seems to happen, fate played a trick on him, and he got many of the traits that one would wish for in a son… in the form of a daughter. It was obvious from a fairly young age that Sarael was different. In addition to her rather rapid, and seemingly endless, growth, she simply didn't act like most girls. She had no interest in traditional feminine pursuits like sewing or cooking —or, seemingly, marriage, the one her father particularly had in mind for her. He even tried to get her into reading —a skill that could be useful for a lady—, but to no avail —while she was reasonably bright, she simply lacked the patience or interest. Rather, she spent her days riding, fighting imaginary battles, and —to her father's shame and dismay— brawling with the local boys; in this last matter, his only consolation was that she almost always won said fights. And, it seemed her ambitions didn't end there; her father almost had a heart attack the time he caught her trying on his full suit of armor —not the least reason being that, at all of ten years old, she was big enough that it fit her pretty well, and strong enough that she could move without too much difficulty. And her energeticness, so it seemed, only increased, in proportion with her physical growth, as she got older. In the end, traditionalist though he was, her father had to give up on his plans to make a 'traditional' lady out of his daughter. Rather strangely, given her lack of patience and interest in other more intellectual and calm pursuits, the girl was quite pious —prayer seemingly the only thing that could get her to stand still and calm down… for at least a little while. Again to her father's chagrin, while she did worship the Olympians too —particularly the goddesses associated with warfare—, her main devotions were directed towards Astra. It was this, plus a desire to see his daughter attain some honorable position, and, though he'd be hard pressed to admit it, a desire to see her happy, that led him to get her apprenticed into the Knights Templar as a squire. Sarael, for her part, couldn't have been happier at this turn of events, throwing herself into her squirely duties and training with all of her typical energy and cheerfulness. Now, 19 years old, she has only just recently been knighted as a full Templar. Due to a combination of her relative novelty as a female knight —much less a Templar; her blithe and (in many peoples' opinions, excessively) cheerful personality —standing at complete odds with her size, strength, and combat prowess— which tends to make her appear somewhat innocent or naïve —which, relatively speaking, she is, though she is smarter than most people give her credit for; and her youth and inexperience, she tends to get treated as a kid by most of the other Templar. In fact, even after becoming a knight, she has continued carrying out some of her squirely duties for the members of her unit, such as caring for their horses —either not realizing, or not caring, that it was no longer her job—, simply because they asked her to. While some people might take umbrage at such treatment, Sarael doesn't have an ill-natured bone in her body —she is simply happy to help. The only effect such treatment has on her is to increase her determination to be the best Templar she can be, so that she won't let her comrades down. 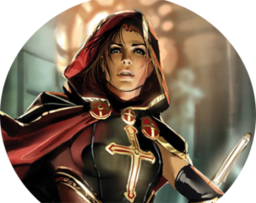 While she has participated in a few minor assignments since becoming a full-fledged Templar, the quest to track down Letom would be her first real mission —one that she is eagerly determined to be a valuable part of…. 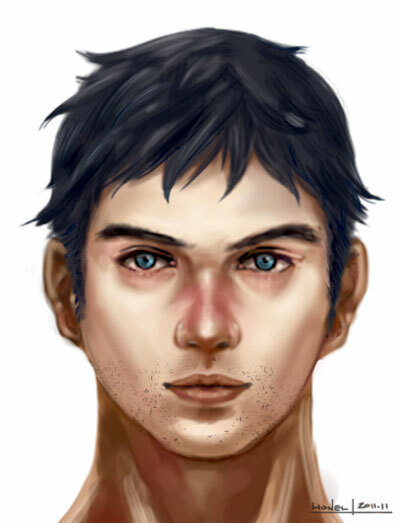 Augustin was not blessed with the most stunning looks, his features are sharp with his hawk-like nose, bright blue eyes with a long scar over his left eye, dark hair, and a pointed chin. His hair is shoulder length and waves, curling at the edges, and he has a well-trimmed beard. He is of medium build and average height, his only defining features being his face which he rarely covers with his helmet. 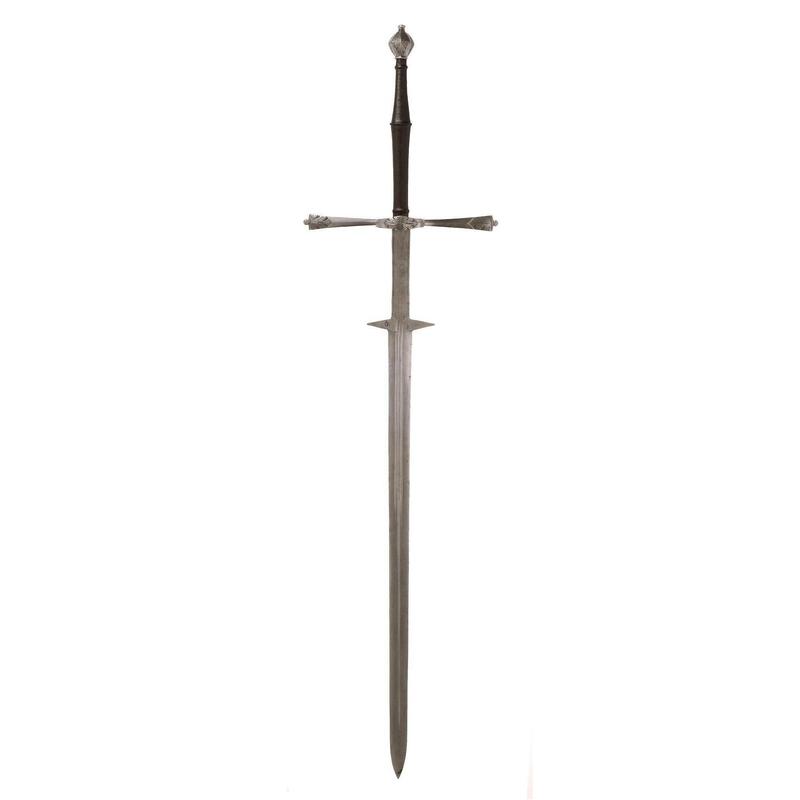 Inventory: Augustin carries a custom void-iron arming sword pairing it with a void-iron buckler, and wears a void iron messer. For armor he wears void-iron plate, though he often keeps his helmet off, preferring a wide-brimmed hat and neck/lower-face wrap with Inquisition’s mark. He rides his black stallion, Flint. Augustin Cæsar was born in a noble-class family of Inquisitors. In the north of the empire, the Cæsar family held small holdings from their service in the Inquisition. The first-born child of the Cæsar family had consistently been sent out as inquisitors, most acquiring the coveted rank of true Inquisitor. As a result of this, Augustin was raised to be an inquisitor, his family focusing on his education and training his swordsmanship. He was sent to Karak du Vide to start his training as an inquisitor where he studied for several years as an Ebonguard. After learning as much as he could within the fortress walls, he was assigned to Inquisitor Daniel. From there Augustin began his fieldwork by mainly operating on the Northern borders of the Empire, close to where he had grown up. It was there that through a series of unfortunate events, Augustin learned that his cousin had become a necromancer and had murdered his father, Augustin’s uncle. Seeking revenge, Augustin set forth and recklessly tried to apprehend his cousin and bring him to justice. In the ensuing conflict Augustin received his trademark scar and he threw his cousin off a cliff. Thinking the necromancer dead, the Inquisitors returned to Karak du Vide to continue his training with Daniel. Unfortunately for Augustin, his cousin had survived the fall and murdered Augustin’s family while he was away. With a small band of Inquisitors, Daniel and Augustin tracked down his cousin to end him. Drawing upon mercenaries to aid them, the Inquisitors went to battle with Augustin’s cousin and a cult his cousin was working with. In the ensuing conflict many of the Inquisitorial force were killed or incapacitated leaving only Augustin to finish the job. During their duel, Augustin was nearly killed were it not for the timely arrival of one of the mercenaries. The soldier shot Augustin’s cousin, preventing him from casting a spell that would have finished Augustin off. With his cousin staggering from an arrow wound, Augustin beheaded him, ending the necromancer. The mercenary and Augustin gathered the few survivors and returned to Karak du Vide. Due to his actions and feeling he was ready, Daniel pushed for Augustin’s promotion. Shortly thereafter Augustin was promoted to Inquisitor and began his work. I'll get a sign-up here soon, just weighting which faction I want to be a part of. Edited by GhostlyCheese, 26 January 2016 - 07:51 PM. Appearance: He stands slightly taller than most, and has a built body from years of farm work. His hair is brown and kept short, his face clean shaven, with hazel eyes. Biography: Hailing from the Kingdom of Northrim, Cicero once had a father, mother, and sister. His family had moved from the interior of the Achaean Empire to settle the newest kingdom, which allowed them to obtain fertile land and establish a farm. Cicero spent most of his days tending to the farm, dreaming of leaving and adventuring. One day while tending the fields, he saw a few Inquisitors clad in their void iron armor. From that day, Cicero knew what he wanted to be. He had known of Inquisitors before, but never had he seen them before. The armor captured his mind and he loved the ideals. After a few years, he became old enough to his parents to travel and join the Inquisition. His service with the Inquisition hasnt been long, but he is a strong and hardy Ebonguard. He has mainly been stationed in the Kingdom of Northrim where his greatest achievement has been killing a flame mage burning down a village. Other than that, he has arrested a few other mages, his career hasn't been extraordinary, but he is still young. Cicero stands by the ideals of the Inquisition strongly and is unwavering. Cicero is most skilled with a two-handed greatsword, but can hold his own with a one-handed sword in one hand with a dagger in the other. He puts immense power into each swing of his two-handed greatsword which if he misses results his sword cutting into the earth. His comrades can attest to his power as he cut the flame mages arm clean off, and finished him off by nearly cleaving him in two at the waist. Edited by Neyo Wargear, 08 February 2016 - 08:25 PM. Hey guys, sorry for the delays. My schedule has gone insane this week and I'll be spending all weekend trying to fix it, but I'm excited at how much interest this has gotten. My post here will be somewhat less wordy than I might like, but I'm typing it up in class due to time constraints, so here it is regardless. There's no problem with it - I don't always point out "problems," I just occasionally make comments - but two mages being born in the same place is crazy rare. Just wanted to point that out (I've done it before, myself, so it's certainly not against the rules, or anything ), since mages are insanely rare. Love the character, though! I really do. Definitely in. Biography: Lucy was raised in a smaller village within the Achaean Empire ((I have a thing for Achaean, OK? )). Well, the Inquisition is an Achaean order, so that makes sense. Nahh... But she sounds great. In. And thank you for switching up your character. Glad to have you along. Biography: Irena Cathas was born into the Knights Templar, being the daughter of two relatively high-ranking and pious monks. Thus, rather than be trained in the arts of war, Irena was taught the more knowledgeable - and arguably more important role - of the chronicler. I love this character, Burgs. It's great to see a more priestly Templar type. Definitely in. Okay, weapon changing and talent editing I can do, but what is this notion that Agethar and Brufarn are the same? They are both very, very different. For one thing, Brufarn came to the Venatory in much more peaceful way than Agethar did, and for another, and quite frankly, he is a lot more self controlled than his younger brother. If you're implying it's because of some strange bias in favor of vampires and werewolves, then demons are possibly my second favorite fantasy monster, so that's not the case. Anyway, it's simply that it isn't easy for anything to slaughter wholesale the things that are meant to fight them. If someone signed up as a werewolf and said they'd killed a bunch of Venatori, I would call them out on it. Likewise, if someone signed up as a Venator who'd killed a bunch of werewolves, I would call them out on it. The same applies to Templars and demons. Basically, no fight that epic-level would be easy for any party involved. Anyway, you don't have to change it, as I said. I was simply pointing out that if a demon had killed a bunch of Templars (I would, however, recommend making it only one or two or maybe three Templars unprepared to face a demon and taken by surprise), it would be a big deal. Malvolio certainly wouldn't be the only Templar going after that demon. Does that make more sense? I may not have articulated it very well and I'm sure I could reword it better, but that's all I got for now. Uh, heads, maybe? Holy symbols burn demons, is all. All I have to go by is the raw sign-up, not those details, and thus I got that impression. Love the character - not that I expected anything otherwise. In. Awesome! Glad you guys are interested. Also, I got your PM, Clone Commando, but Scorp answered it in the Q&A thread, so I figure that'll work. Sorry for not getting back to you faster. And Ghostly, if you have any questions you'd like to ask to help you decide which one to choose, just ask. Sounds fantastic. In. Welcome to Errant, Neyo! Glad to have you along. Wow, we've got a lot of characters now! If anyone is still interested in signing up, you still have time, as I haven't had time myself to start working on the first post. Still, I may try to get to work on that this weekend if I can find time, so the sooner people can get their characters posted, the better. Since I may not even have time this weekend to get the RP going, however, no grand rush, I guess. I'm looking forward to seeing everyone's characters, though! So that's it for now. I somehow managed to finish this post shortly before my class finished. I'll add a player list to this post sometime in the near future. No worries! I realized after I sent you the message that the Q&A topic was also getting updated pretty quickly so I sent it there too as a fail safe. Either way, I got the info I needed. I have updated with my sign-ups, going for an Inquisitor with a mercenary companion pairing so I know it's not conventional but I wanted to give it a shot and see if it worked. Mmmmmm let's try throwing another in the mix. Name: Lady Wilhelmina Tamaria, Mina to friends. Appearance: Few things can escape the notice of Mina's sharply observant emerald eyes. But while her mind is keen and her wit razor sharp, her disposition is incredibly charming and compassionate. From her warm and inviting countenance to her natural grace and beauty, Mina Tamaria radiates a palpable air of humility and determined confidence. She wears her long brunette hair functionally pinned back behind her head, keeping her vision unobstructed. In service of of the Knights Templar, Mina dons a sturdy set of deepgold plate armor, accented with a simple purple flag secured to her swordbelt in honor of her family's colors. Inventory: A practically minded woman, Mina carries a newly forged hand-and-a-half sword on her side, with a sturdy round shield and sharp spear strapped to her back. In her satchel, Mina never finds herself without ink and a diary for taking notes and uncluttering her head after a long day, a series of maps and charts of the lands, a vial of holy water for emergencies, and a novel for passing the time. Biography: An observant and savvy woman, Wilhelmina Tamaria tended not to spend her time idly. 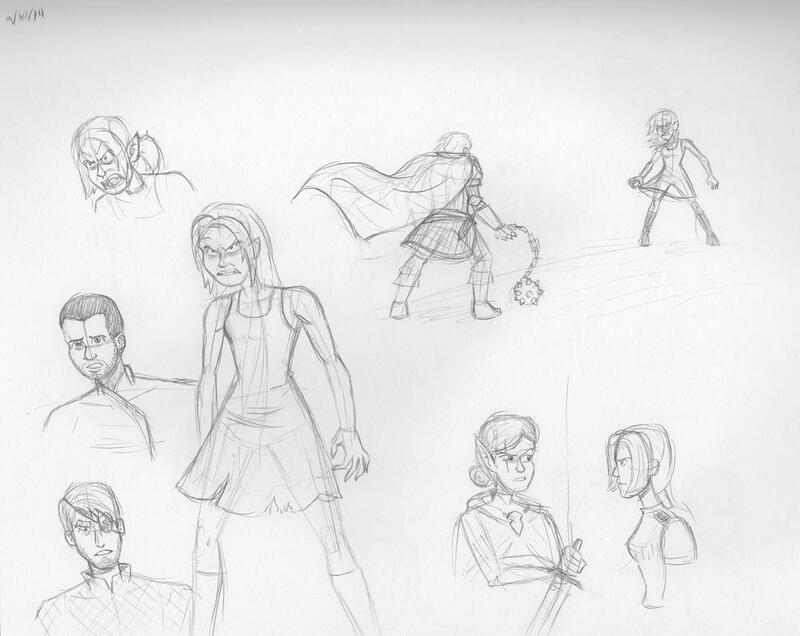 Often found studying some tome or trying to reach out and help others with her family's position and power. When she came of age, Mina decided she would be far better equipped to do this among the ranks of the Knights Templar. Now fully initiated, Mina never imagined her first mission with the order would be responding to a tragedy so close to her own home. But this only made Mina more determined to fulfill her duty. With people in need of protection, and justice that needs to be delivered, she won't be backing down.